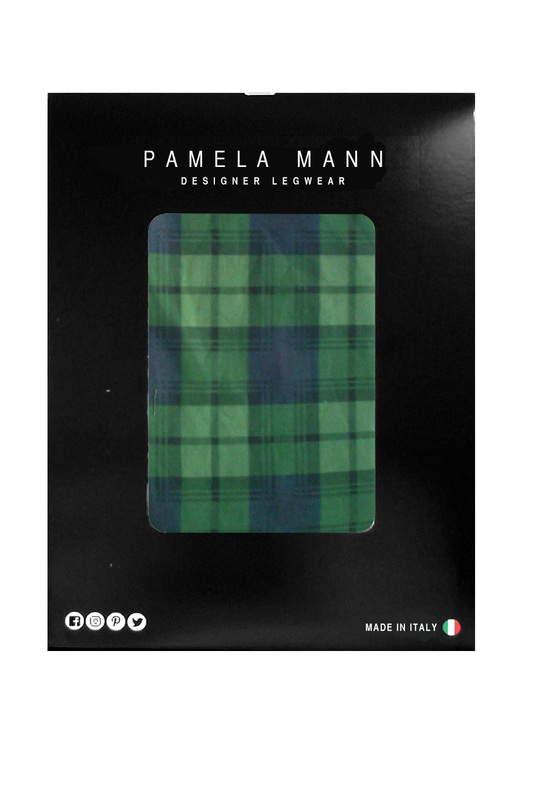 Black Watch Tartan Printed Tights are a Vivienne's Westwood style inspired in a classic Scottish design. All printed tights are produced by hand, this process results in a completely unique pair each and every time. One size, fits Small, Medium and Large. Composition: 95% Nylon, 5% Elastane. Color: Blue-Green.